Genetic Alzheimer’s disease (AD) accounts for only few AD cases and is almost exclusively associated to increased amyloid production in the brain. Instead, the majority of patients is affected with the AD sporadic form with typical alterations of clearance mechanisms of the brain. Most studies use engineered animal models that mimic genetic AD. Since it is emerging the existence of a pathophysiological link between cardiovascular risk factors and AD etiology, the strategy to develop animal models of vascular related AD pathology could be the key toward developing novel successful therapies. On this issue, we have demonstrated that mice that have been chronically subjected to high blood pressure show deposition of amyloid aggregates, the main histological feature of AD, and loss of memory in specific tasks. More importantly, we have identified that the hypertensive challenge increases the expression of the receptor for advanced glycated end products (RAGE), leading to beta-amyloid (Aβ) deposition and learning impairment. Here, we review different murine models of hypertension, induced either pharmacologically or mechanically, leading in the long time to plaque formation in the brain parenchyma and around blood vessels. 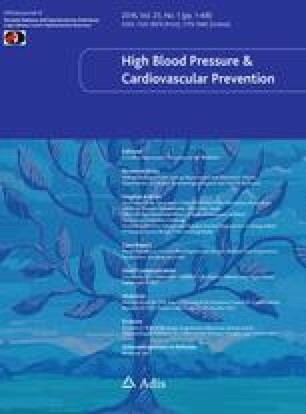 The major findings obtained till now in this particular experimental setting allow us to suggest that this appears to be a unique possibility to study the pathogenetic mechanisms of sporadic AD triggered by vascular risk factors.